The purpose of HPDC Achievement Award is to recognize individuals who have made exceptional contributions to the field of HPDC, to raise the awareness of these contributions, especially among the younger generation of PhD students, and to improve the image and the public relations of the HPDC community. The award is presented at the HPDC conference, and the winner is invited to give a keynote presentation at the conference. 2015: Ewa Deelman, for her significant influence, contributions, and distinguished use of workflow systems in high-performance computing. 2014: Rich Wolski, for pioneering and high-impact contributions to grid, cloud, and parallel computing. 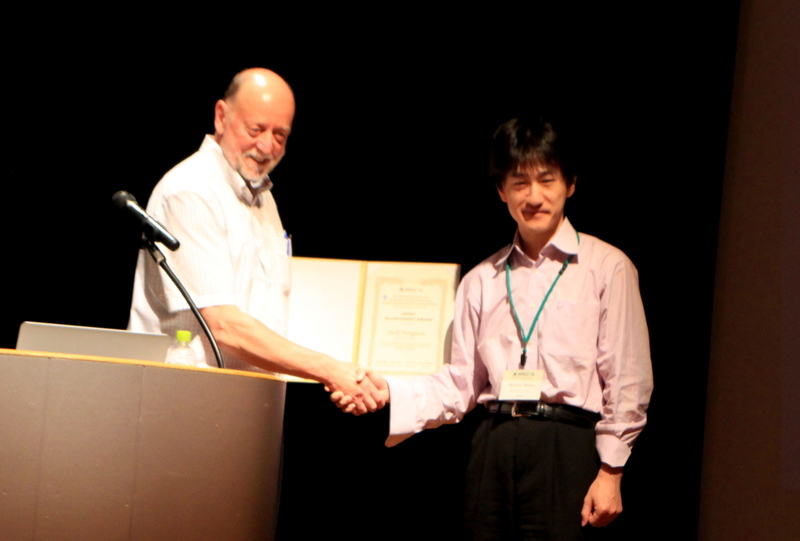 2013: Miron Livny, for his significant contribution and high impact in the area of high-throughput computing. 2012: Ian Foster, for his initiative in the creation and development of grid computing and his significant contributions to high-performance distributed computing in support of the sciences.